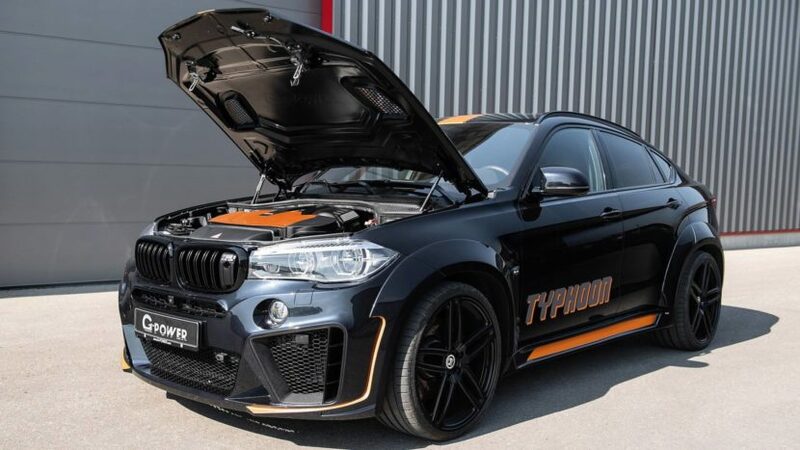 German tuning powerhouse – G-Power – is back with their second generation BMW X6 M with wide Typhoon body kits. In addition to the fender flares, the G-POWER TYPHOON widebody kit includes a front apron with large air intakes, side skirts, door attachments and a new rear bumper. Under the VENTURI bonnet made of carbon, an in-depth optimization of the 4.4-liter twin-turbo V8 ensures the considerable extra power. 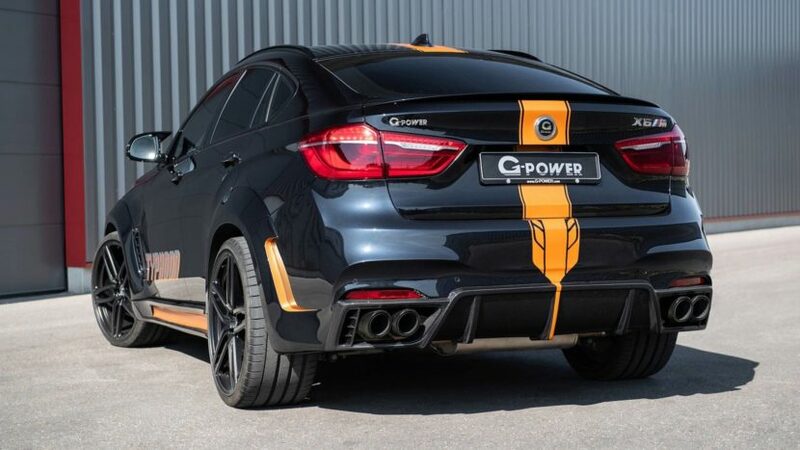 The engine now has modified turbochargers, G-POWER downpipes along with catalytic converters, and the G-POWER V3 performance software in conjunction with a removal of the Vmax limitation. In this new version, the G-Power monster SUV delivers 750 hp with 6,500 redline and 723 lb-ft of torque. 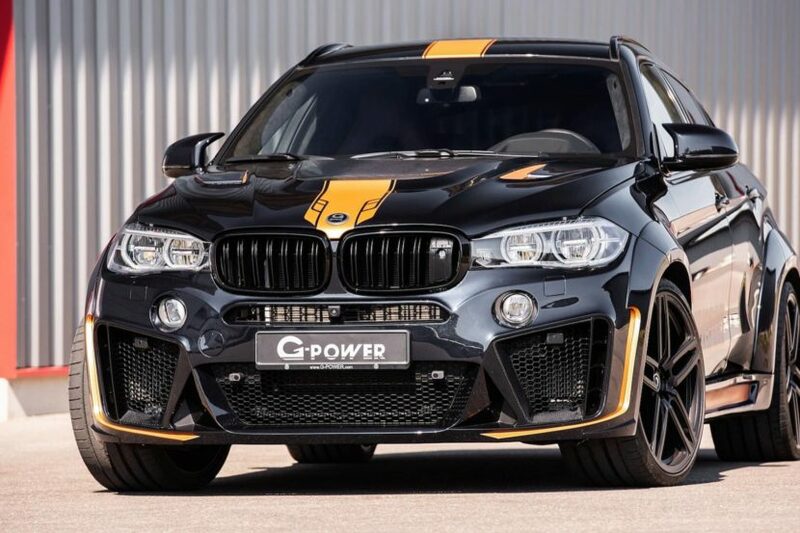 All that power helps the G-Power X6 M can complete a quarter mile in just 11.5 seconds, and has a top speed of 186 miles per hour. The perfect way to round off the look the X6 M TYPHOON look is G-POWER´s forged wheel set HURRICANE RR with five double spokes and Jet Black finish, which are used here in 23-inch size. Other upgrades include titanium exhaust system and GX6M RS coilover suspension system.